Correspondence Grandmaster On January 27, 1929, Hans Jack Berliner was born in Berlin, Germany. His father was an electrical engineer and had a master's degree in electrical engineering, and his mother was a homemaker. His family was Jewish. His uncle, Emile Berliner (1851-1929) developed the microphone, the flat recording device, and the gramophone (phonograph) player. They were better than Edison's cylindrical records. He also held the patent on the carbon receiver for the telephone. Berliner entered public school just as Hitler was rising to power. In 1937, his family immigrated to the Washington, D.C. area to escape Nazi persecution. A nephew of Emile Berliner, Joseph Sanders, arranged for about 10 members of the extended Berliner family to immigrate to America. Hans arrived in the USA speaking very little English, and that of a thick German accent. In 1942, he learned the game of chess at a summer camp, taught to him by a teenage friend. After high school in the mid-1940s in Washington DC, Hans entered George Washington University to pursue a degree in physics. He later said that he got bored of physics and started majoring in bridge and not going to classes. After the Army, Berliner returned to Washington, DC, and was hired by lumber magnate Isador Samuel Turover (1892-1978). Berliner then entered George Washington University and got a bachelor's degree in psychology. In 1948, he played in the US Junior Open, held in Oak Ridge, Tennessee. In 1949, he won the District of Columbia championship. It was his first of five wins of that tournament. In 1949, he won the Southern States Chess Championship. In 1949, he tied for 2nd place with Larry Evans at the New York State Championship. In 1950, he won the District of Columbia championship. In 1951, he was drafted into the Army and served his time with the German occupation forces. In August 1952, he played for the USA during the 10th Chess Olympiad, held in Helsinki. He only played one game a draw on 2nd board reserve against Czechoslovakia. USA took 5th place. He met a lady while in Helsinki and they were married in 1954. In December 1952 - January 1953, Hans Berliner participated in the 28th Hastings Premier Reserves and took 2nd place. In 1953, he tied for 2nd in the US Intercollegiate championship, held in New York. In August 1953, he participated in the 54th US Open in Milwaukee and tied for 13th place. He tied for 3rd place in the US Lightning championship, won by Larry Evans. In September 1953, he won the 75th New York State Championship, the first non-New Yorker to do so. He tied for 3rd in the NY Rapid championship. The events were held in Cazenova, NY. In 1953, he tied for 2nd in the US Candidates tournament, won by Arthur Bisguier. In 1954, he went to work at the Naval Research Laboratory in Washington, DC, and worked on human engineering and engineering psychology. He was also introduced to a navy computer and learned how to program and code for instructions. It was during this introduction to computers that he thought about writing a chess program. From the Naval Lab, Hans went to Martin aircraft in Denver, then to General Electric in Philadelphia, and then to IBM in Bethesda, Maryland. In 1954, he won his preliminary section in the US Intercollegiate Rapid championship, held in New York. He tied for 4th in the finals. In May-June 1954, he played in the US Chess Championship, held in New York. He tied for 8th-9th places. Arthur Bisguier won the event. In 1955, Berliner won the 9th Golden Knights Championship, the US open correspondence championship. In August 1955, he tied for 11th place in the 56th US Open, held in Long Beach. In 1956, he won the 10th Golden Knights Championship. In 1956, he won the District of Columbia championship. In November 1956, he won the Eastern States Open, scoring 6 out of 7. There were 56 players. Tied for 2nd were Bobby Fischer, Bill Lombardy, Nick Rossolimo, and Arthur Feuerstein. The event was held in Washington DC. In 1957, he won the District of Columbia championship, scoring 7.5-1.5 with no losses. In July 1957, he played in the New Western Open in Milwaukee. He tied for 3rd place, behind Larry Evans and Donald Byrne. In August 1957, he tied for 13th place at the 58th US Open in Cleveland. The event was won by Bobby Fischer. In September 1957, he won the Champion of Champions tournament, held in Yankton, South Dakota. In 1957-58, he played in the 10th US Chess Championship, held in New York. He took 5th place. Fischer won the event. Berliner drew with Fischer. In 1959, Berliner won the Colorado State championship. In 1959, he won the 13th Golden Knights Championship. In July-August 1959, he played in the 60th US Open, held in Omaha. He tied for 4th place. Arthur Bisguier won the event. In 1960, he tied for 4th place in the 7th North Central Open. In 1960-61, he played in the US Chess Championship. He tied for 8th-10th place. Fischer won the event. In July 1961, he tied for 2nd place in the Eastern Open, held in Washington, DC. In 1962-63, he played in the US Chess Championship. He tied for 7th-8th place. Fischer won the event. In the early 1960s, Berliner was working for IBM. He was a senior manager at IBM's Thomas J. Watson Research Center in Yorktown Heights, New York. At that time, he began writing a program to play chess. In the mid-1960s, Berliner lived in Bethesda, Maryland and was the top-rated correspondence chess player in America. In July 1963, he tied for 4th place in the Western Open, held in Bay City, Michigan. In the September 1963 issue of Chess Life, Bobby Fischer analyzed a game he played against Hans Berliner at the Western Open. On April 1, 1965, Berliner started play in the finals of the 5th World Correspondence Chess Championship. He was the only American in the event. He scored 14 out of 16 with 12 wins and 4 draws after 3 years of play to become World Correspondence Chess Champion. His most famous game was a win against Soviet player Yakov Estrin in the world correspondence championship. In 1966, he tied for 2nd in the Western Open, held in Milwaukee. In June 1967, he tied for 3rd place at the Puerto Rico Open in Rio Piedras. In 1967, Hans met Nobel laureate and Turing Award winner Herbert Simon (1916-2001) at a technical meeting. Simon offered Berliner a job, but Berliner turned him down and was interested in returning to school and getting his PhD. In May 1968, Hans Berliner began work on his chess program called J. Biit (Just Because It Is There). He wrote it in PL/1, version IV. It used about 200,000 bytes of 8-bit words of memory. It had over 3,500 PL/1 statements. In 1968, he was awarded the International Correspondence Chess Federation (ICCF) Grandmaster title. He was the first American grandmaster in correspondence chess. It took 15 years before the USA would have another grandmaster in correspondence chess. In 1969, Berliner left IBM and returned to school to get a doctorate in computer science from Carnegie Mellon University (CMU) in Pittsburgh. In 1970, Berliner entered his chess program, J. Biit in a computer chess tournament. He had designed it to run on a DEC PDP-10 computer at CMU, but he got it running on an IBM 360/91 at Columbia University. It tied for 3rd-4th in the first US computer chess championship, held in New York in August-September 1970. In August 1973, Berliner published "Some necessary conditions for a master chess program," which appeared in the Proceedings of the 3td International Joint Conference of Artificial Intelligence. In March 1974, he graduated with a PhD from CMU. His dissertation was titled: "Chess as Problem Solving: The Development of a Tactics Analyzer." His advisor was Dr. Allen Newell. Afterward, Berliner joined the faculty at CMU. His PhD students included Andrew Palay (1983), Murray Campbell (1987), and Gordon Goetsch (1990). Berliner taught artificial intelligence and computer science. In March 1977, Berliner lost to Chess 4.6 in a blitz match. In 1979, he wrote "The B* Tree Search Algorithm: A Best-First Proof Procedure," which appeared in Artificial Intellegence, 1979, vol 2, no. 1. In July 1979, Berliner's backgammon computer program, BKG 9.8, defeated the ruling world backgammon champion, Luigi Villa of Italy, in a match. The match was played in Monte Carlo for $5,000 to the winner. BKG 9.8 won the match, scoring 7-1, becoming the first computer program to defeat a world champion in any game. Berliner had to program a game that was simpler than chess, but still had 60 possible moves at any one time and 21 possible results from the roll of the dice. The backgammon match was played by Berliner's "Gammonoid" robot, but the calculations were done on a PDP-10 located thousands of miles away at CMU in Pittsburgh. Robot and computer conversed by means of a communications satellite. In 1980, Berliner wrote "Computer Backgammon," which appeared in the June 1980 issue of Scientific American. In 1983, Berliner wrote a chess software program called Patsoc, which participated in the 4th World Computer Chess Championship in New York. In August 1983, Berliner and Murray Campbell presented a paper called "A Chess Program That Chunks," at the third national conference on artificial intelligence, held in Washington, D.C. Berliner developed a chess program called Chunker that looked at king and pawn endings. In 1984, Berliner and Murray Campbell wrote "Using chunking to solve chess pawn endgames," which appeared in the May 1984 issues of Artificial Intelligence. In 1985, he was the highest rated correspondence player in the world, with a rating of 2765. In 1985, Berliner's new computer, Hitech (designed by Carl Ebeling), made its debut. It soon became the world's strongest chess computer. Hitech used 64 very-large-scale integrated (VLSi) processors — one for each square of the chess board — operating in parallel. A master control program polled the processors and decided strategies. It could look at 175,000 positions per second. In October 1985, Hitech won the Pittsburgh Gateway Open and achieved a master rating. In 1985, Hitech won the North American Computer Chess Championship with a perfect 4-0 score. In 1987, Hitech was ranked #190 in the United States and was the only computer among the top 1,000 players. In August 1987, Hitech won the Pennsylvania State Championship. In March 1988, Hitech scored 5-1 at the National Open, held in Chicago. It beat 4 experts, one master, and lost to GM Sergey Kudrin. It had a performance rating of 2476. In 1988, Hitech became the first computer to beat a grandmaster in a match, defeating GM Arnold Denker, 3.5 to 0.5, in a match in New York. Hitech was the first computer to be rated over 2400. In 1988, Hitech won the Pennsylvania State Championship. In 1988, Berliner was quoted as saying, "Computer experts vastly underestimate the time required to beat the World Champion. Chess experts, on the other hand, vastly overestimate the time involved." In 1989, Hitech won the Pennsylvania State Championship. In 1990, he was inducted in the U.S. Chess Hall of Fame. 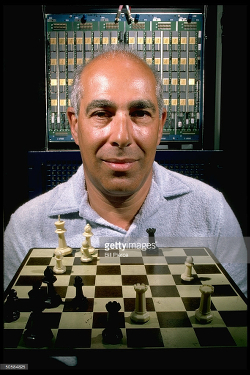 In 1997, he won the Allen Newell Medal for Research Excellence for his work in computer chess. In 1997, Berliner awarded the $100,000 Fredkin Prize to the inventors of the Deep Blue chess machine for being the first program to beat a reigning world chess champion. Berliner was the administrator of the Fredkin Foundation grant since 1980. In 1998, Berliner retired from CMU. 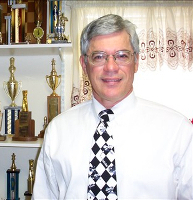 In 1999, he wrote "The System: A World Champion's Approach to Chess." He argued that 1.d4 is the best move in chess and that the Benko Gambit was refuted. What's happening with chess is that it's gradually losing its place as the par excellence of intellectual activity. You don't have to be really good anymore to get good results. Chess is winding down. He also said that smart people in search of a challenging board game might try Go. On January 13, 2017, he died in Riviera Beach (West Palm Beach), Florida. He was 87. He is survived by a brother, Ernest, an engineer in Denver. His lifetime score in correspondence chess was 91 wins, 10 draws, and only 1 loss.